Engaging with you readers is very important. 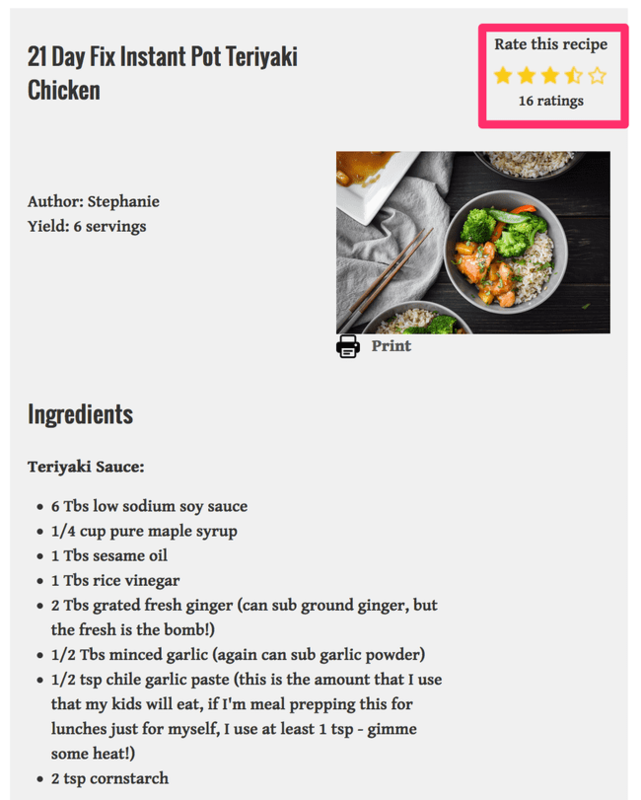 The Visitor Rating feature allows your website visitors to vote on your recipes without logging in. We have spam protection in place where if we detect that someone’s abusing the ratings and clicking too frequently, we start to delay them so your ratings are not affected. You recipe ratings will appear on Google’s search engine results page and make your recipe pop out! 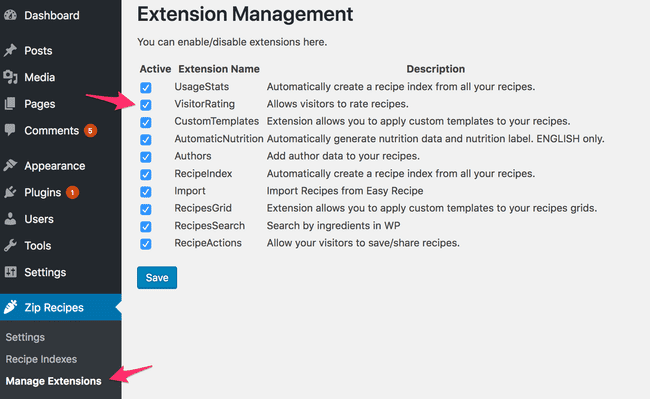 If you don’t wish to allow your visitors to rate your recipes, you can deactivate this feature from Zip Recipes > Manage Extensions.